He completed his Ph.D as a Google India Ph.D. fellow in the Dept. of CSE, IIT Kharagpur, India in Sept, 2015. Afterwards, he spent around one and half years at University of Maryland, College Park, USA as a postdoctoral researcher. 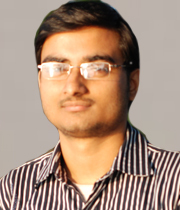 His Ph.D. thesis has been recognized as the best Ph.D. thesis by Xerox Research India and IBM Research India. He has also received INAE doctoral level innovation student project award, best paper runner up in ASONAM'16, best poster award in Microsoft TechVista'15. He has been awarded prestigious Ramanujan Faculty Fellowship and DAAD Faculty Award. His primary research interests include Network Science, Data Mining, Natural Language Processing and Data-driven cybersecurity. He has served as a PC member in various top conferences including WWW, AAAI, PAKDD, IJCAI, and reviewer of top journals including ACM TKDD, IEEE TKDE, ACM TIST, CACM. He is also co-organizer of three workshops – TextGraphs-10 (NAACL'16) and SMERP (ECIR'17, WWW'18) and a co-editor of a special issue in Information System Frontiers.